Looking for a classic and vintage engagement ring to show off your old-school aesthetic? A unique pearl engagement ring could be exactly what you’re looking for! Whether you choose to go with a solitaire pearl or accentuate your center diamond with prong-set pearls on either side, you’re sure to show off luxury. However, it’s important to learn a little about pearls before you start shopping for the perfect piece of pearl jewelry. There are several qualities to consider when shopping for a pearl ring, including the color of the pearl. Pearls come in many different colors, including yellow, silver, pink, green, and black. However, white and off white are the most popular colors by far. If you choose a bright white pearl, it’s best to stick to a white gold or platinum setting. White gold and platinum bring out the bright white color of the pearl, whereas yellow and rose gold give pearls a warmer appearance. And because the classic white pearls are neutral in color, they’re a breeze to pair with other gemstones, from diamonds to emeralds and beyond. You should also examine the luster, or shine, of the pearl. Luster is one of, if not the most important quality to consider when shopping for a pearl. Take a close look at the pearl to determine the reflectiveness of the surface. If the reflections are bright and sharp, the pearl has an excellent luster, which is the highest grade. But, if the reflections are weak and blurred, the luster is poor. The higher the luster of the pearl, the more valuable the pearl becomes. The surface quality can also affect the pearl’s overall appearance. 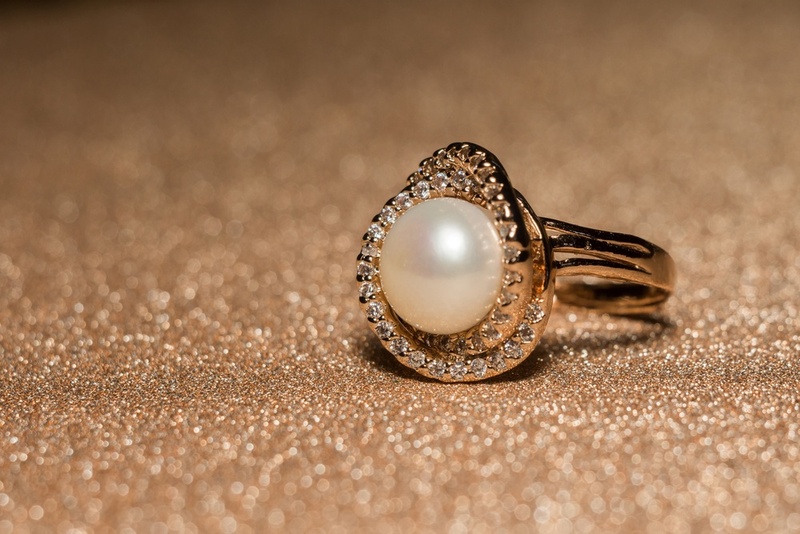 Minor imperfections probably won’t be noticeable on the surface of a pearl, however it’s recommended that you do not buy pearls that have visible scratches or flattened areas. Many of the pearls that are found in jewelry are round in shape. Fortunately, this is the most valuable pearl shape, and many people believe it is the most beautiful as well. 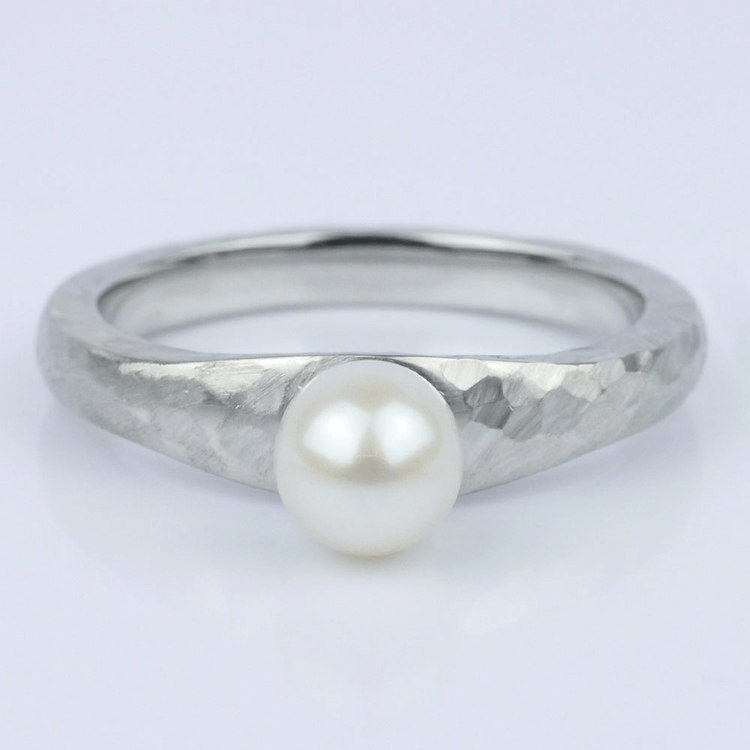 But, if you want a pearl ring that is a bit more unique, try an oval or pear-shaped pearl instead. If a ring is designed with multiple pearls, it’s also important to pay close attention to how well the pearls match one another. The pearls should have the same color, shape, and luster, otherwise they will look mismatched. Keep these tips in mind when shopping for a pearl engagement ring so you can quickly narrow down your options and find the perfect design. Pearls are not nearly as hard as diamonds, which means they are not as resistant to scratches and dents. Anyone who wears a pearl engagement ring needs to know how to care for it in order to ensure its beauty lasts for decades to come. Luckily, caring for a pearl engagement ring is much easier than it may seem. Purchase a soft, non-abrasive cloth and wipe the surface of the pearl whenever you take off your ring. You can also wash pearls with warm water, but do not use harsh household cleaners since these can damage the pearl’s surface. A gentle wash with a soft cloth and warm water will remove dirt, dust, and debris from the pearl and keep it looking as good as new for as long as possible! The pearl is one of the most understated and sophisticated gems of all time. For centuries, it has symbolized wealth, femininity, and elegance. Many women wear pearls as necklaces or earrings, but there’s no reason why they can’t be worn as engagement rings as well. Pearls are not only chic and tasteful, they’re also timeless. Pearls, like diamonds, are one of the few gems that will never go out of style. 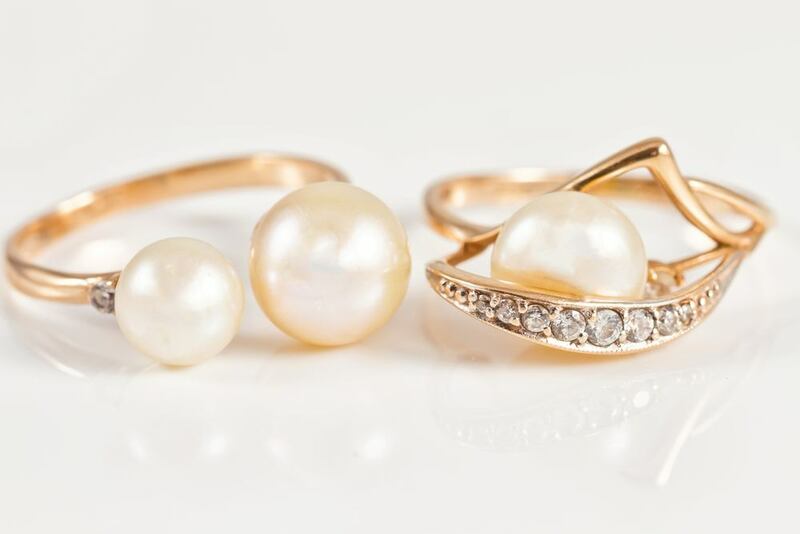 Depending on the setting, pearl engagement rings can look either vintage or modern. Because these gems are so incredibly versatile, there’s a perfect pearl engagement ring for every type of woman. Now that you know how to look for the perfect pearl engagement ring, it’s time to start shopping!